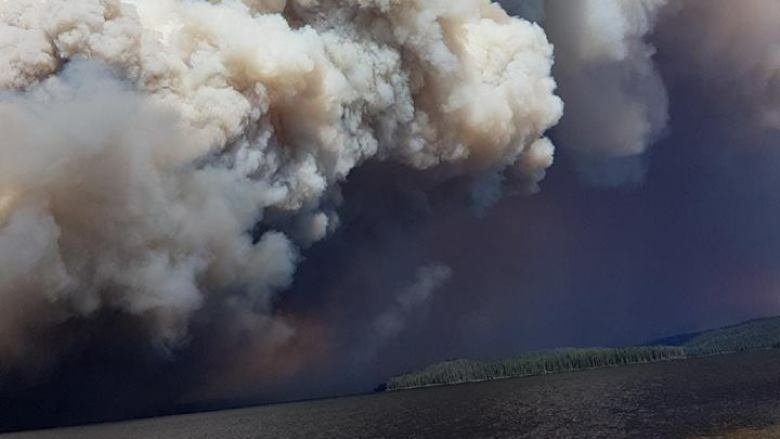 Here in BC we are all concerned with the state of our province and the forest fires. It is a major concern for all residents when we look out of our windows and see smokey haze not to mention the poor air quality. It leaves one to wonder if this is natural selection or if there was something we could do as a province to prevent these disasters from happening or even prevent them from spreading so far? Neverthless fire prevention is always a safe practice particularly in the warm, dry months of the year. A few tips provided by health experts on CBC.ca can assist you on how to stay safe in smoky air. Some tips include: staying inside avoiding strenuous activity, leave the mask at home (which can be counter productive), seek large air conditioned buildings, change your vehicles air filters. For now, at Dang and Company Ltd. we are staying inside collectively hoping for the west coast wind and rain to douse our forests and put these wild fires out. If you have any tips for us or the public please comment below. Many of our clients owe taxes at years end; conversely many are due a refund. Ask yourself, “What bucket am I in?”. Whatever the answer is, decide if you are you happy with the outcome. Perhaps you are unaware of all the options available to avoid owing taxes at year end. One simple way to reduce the amount of tax owing is to contribute into an RRSP. An RRSP is a retirement savings plan the government registers to which you contribute. RRSP contributions reduce your tax and any income earned is also exempt from tax (unless you withdraw from the plan). RRSP’s are not only a retirement vehicle they are also a tax planning strategy. A tax planning strategy which done correctly ensures tax efficiency which minimizes taxes owing! Randy and his team of advisors are well versed in tax efficiency. It is quite common for clients to approach his team around tax season to analyze their finances. I invite you to call Randy today, analyze your financial situation before tax season. You might learn something new or maybe even get that tax refund you always dreamed of! The best holiday is one where you leave your home to go somewhere else and feel like you are away and yes EVERYONE does need a little time away… as the band Chicago puts it so beautifully. 1 in 28,633,528 to be exact. That is your chance at winning at least $15 million in the lotto Max according to CBC.ca. But we keep buying tickets! Let us dig a little deeper shall we? Knowing the odds of the lotto Max – why is money SO important in most of our lives that we spend five dollars on a lotto ticket against those odds? According to an article by the BusinessInsider.com “Money makes the best things in life better, wealthy people can choose to spend more time with their family, money provides the opportunity to make new friends, and money isn’t everything but it ranks up there with oxygen! Does money have to come by way of chance? It does not! Money can come to you when you have control over simple things like monitoring your spending habits. Money can enhance your life in a positive way, and knowing you have people on your side who support that belief will help in your journey to wealth and happiness. Decide today to make money a bigger priority in your life and contact your advisors at Dang & Co. for more information. A loaded question and one that a lot of small businesses ask themselves from time to time…but is “time to time” enough? Without proper due diligence it is not easy to keep the task of managing day to day operations of the business in addition to understanding if those operations that make the business viable. The most accurate way to understand whether your business is being run properly is through an analysis. Dang & Co. offers a range of business analysis that are tailored to your industry. Whether you are earning $45000 per year and are the sole proprietor of your business or earning $150000 per year and have multiple share holders a business analysis can help you understand the cogs of your business and how they operate. Not only that whether they are operating on the highest capacity in order to make your business the most viable. Randall Dang, an accountant from Vancouver, typically provides tax and other accounting services to businesses of all sizes. However, he understands that individuals might have questions about filing their personal taxes as well. Using his experience as an accountant, Randall Dang has provided the following tips for Canadian individuals and couples who have become parents. In Canada, parents may qualify for certain deductions, depending on their situation. Although it will make your taxes slightly more complicated, these deductions can help you save big. Remember the tax filing date is April 30, so be sure to get your records and taxes in order as soon as possible. And please keep in mind that if you are not comfortable filing your taxes using tax software, you can always hire an accountant like Randall Dang who may be able to find you additional deductions to help you save even more. Here are several things to keep in mind related to deductions and children. You may qualify for a child care deduction if you pay someone or a child care service to take care of your child so you can go to work, school, or run your own business. The maximum you can deduct is $8000 and it must be claimed by the lower earning spouse if you are married or common-law. Any out-of-pocket medical expenses can be combined with yours and your spouse’s to claim a larger deduction come tax time. In addition to that, you qualify for an eligible dependent credit if you’re a single parent. And if you received a Universal Child Care Benefit, you will have to include those payments on your tax return as well. Please keep all of these deductions and credits in mind to lower your overall tax bill. The New York Yankees didn’t do themselves any favors, unfortunately, this weekend in Boston when they were swept by the Red Sox in a crucial four game series. The Yankees had leads in several of the games, but they weren’t able to hold on. The worst may have been on the first night when their closer, Dellin Betances, blew a save in the ninth. This would start a four game sweep that Yankees fans like Randall Dang, an accountant from Vancouver, weren’t happy to see. A sweep in the other direction could have made the AL East race much more interesting with only a few games left to go. Now the Yankees have just thirteen games to make up a three game deficit to catch the Toronto Blue Jays for the second wildcard. Unfortunately, there are three other teams (Detroit, Seattle, and Houston) that they must jump over, making it a tall, but not impossible challenge. But if anybody can conjure up some late September magic to make it to the post-season, it’s obviously this storied franchise. The Yankees have had a roller coaster ride this past season. They said goodbye to A-Rod and were sellers in the trade deadline. However, a youthful push from the team’s youngest players started a streat that some fans thought could possibly lead them to the playoffs. At one point, they were one game out from the second wildcard spot. It will be tough, but even if the Yankees don’t make the playoffs, Accountant, Randall Dang, and other fans have a lot to be proud of. Randall Dang is a big Yankees fan, and he has been one most of his life. He still tries to make it out to the Bronx as much as he can to catch the Yankees in person. Hire a Professional: Not everyone went to school for accounting like Randall Dang. If you are an entrepreneur who had a passion for something and now spends most of the time struggling with the books, you may want to consider hiring a professional. An accountant like Randall Dang could help you get things back in order and free your time for more relevant issues related to your business. Even if you don’t think you can afford it, you may not be able to afford not getting some professional help. Don’t Treat the Business Account like an ATM: Keep your business banking account and your personal bank account separate. Mixing the two is the easiest way to cause confusion and so many accounting headaches. Although you could just pay the business back, this creates more paperwork and tracking deductible expenses becomes even more difficult. Save yourself the trouble and just keep the two separate. Stay on Top of All Invoices: If there is one thing that can’t be overstated, organization is the best way to keep your finances in order. You may have a number of different invoices, and a good organizational system is the key to making sure that you miss one and don’t get paid. Remember what we said in the beginning: running a business is difficult. Don’t make it more difficult by not paying yourself. If you’re getting ready to launch your business there is a congratulations in store for you! It takes a lot of dedication, hard work and perseverance to get to where you are today. However, as you probably already know, running a business is no easy feat – there will be hurdles to jump, milestones to reach and an ever-expanding to-do list! With that in mind, you’ll need to ensure you have a financial plan in place to set your business up for financial success. To get started, Randall Dang has nine business accounting tips to give you the foundation you need to operate a financially sound business. Once you have registered your business, you will need an account to hold your business income. While you could possibly throw the money into your personal account, it’ll be a nightmare to deal with later on, so it’s not the best tactic. The reason why you’ll need a separate business account is for tax purposes because it’ll make it easier during tax season and some businesses (LLCs, partnerships, corporations, etc.) are legally required to have separate accounts. Since you’ll have a separate business account, it’ll be much easier to track and record your business expenses effectively. Building financial statements, tracking deductible expenses and preparing your tax returns will allow you to monitor the growth and health of your business when it comes time to file your tax return. Ensure you establish a system to organize receipts and other important records! Bookkeeping takes expense monitoring to another level and you should establish a working system to understand exactly how your business is performing. It’s the process of day-to-day recording of transactions, categorizing them and then reconciling bank statements. DIY software and accountants like Randall Dang can perform bookkeeping duties, so there are solutions out there that can fit your needs. While your startup may only consist of you at first, you may need to hire employees as you grow and for this reason, you’ll need to set up a payroll system from the get-go. Whether you hire someone as a freelancer, contractor or full-time employee, it’s important to establish a payroll system that’ll have a payroll schedule and to ensure you are withhold the correct amount of taxes. As a new business owner, you will need to research and investigate taxes to learn about the rules that will apply to your business. For instance, if your product/service required materials that are imported from other countries, it may be subjected to taxes and duties, which means you need to understand the fees associated with those incoming goods. In order to get paid for your services/products, you need to figure out your payment methods. If you’re running a website, consider setting up credit card payments through your online store. If you have a brick and mortar store, you should look into payment processing systems like POS terminals, registers, etc. It’s important to accept a wide variety of payment methods to ensure you are providing your customers with an assortment of acceptable ways to pay. Customers are used to paying sales tax and that should be no different with your business. You’ll need to start collecting sales tax immediately and it’s vital to track and record how much is generated. Be sure to research the laws regarding sales tax for local customers as well as international ones. Depending on the structure of your business, you will need to research your specific tax obligations and abide by them. For instance, if your business is an LLC, partnership or proprietorship, you’ll be able to claim your business income on your personal tax return. However, if your considered a corporation, you’ll have separate tax entities and different employment tax status. Last but not least, it’s important to always re-evaluate your methods to reassess the amount of money your business is spending while it grows. Keeping up with your finances and bookkeeping will help you stay on top of everything going on within your business!